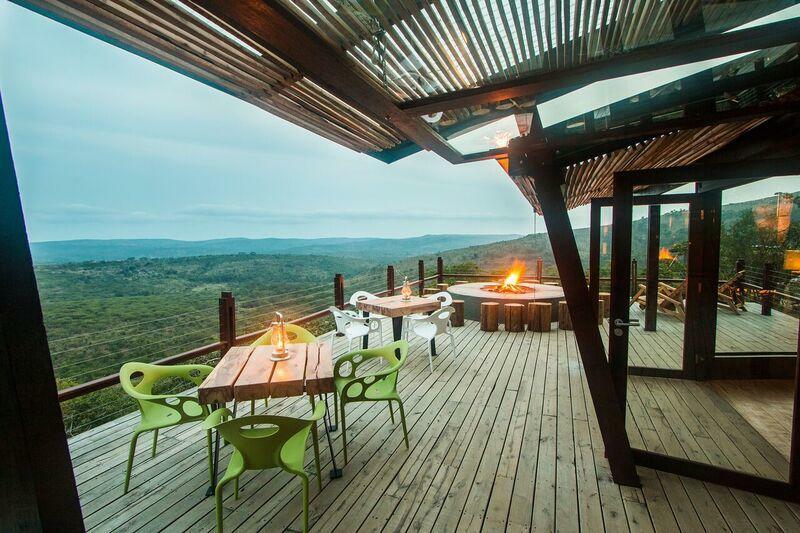 Rhino Ridge Safari Lodge was built in the Hluhluwe iMfolozi Park and cooperates closely with the Park in the conservation of its large population of white rhino. Come and celebrate this uniqueness in exclusive luxury at Rhino Ridge Safari Lodge, which offers exceptional safari experiences in the heart of Big 5 territory. Rhino Ridge was constructed in 2014, a Lodge of contemporary design with overtones of organic forms utilizing natural finishes and materials. Rhino Ridge is part-owned by the local Mpembeni Community. It offers 18 rooms nestled in natural bush high up on the ridge with commanding views of the landscape. The rooms comprise of 8 villas, 2 honeymoon suites, 4 safari rooms and 2 family units with 2 bedrooms each. The National Empowerment Fund (NEF) has invested R20.5m towards the project on behalf of the Mpembeni Community Trust. The NEF, the private promoter and the Mpembeni Community Trust each have an equal shareholding of 33.3% in Rhino Ridge Safari Lodge. 18 – In order to maximise the view & ensure guest privacy some rooms are as far as 200 meters away from the main lodge facility. 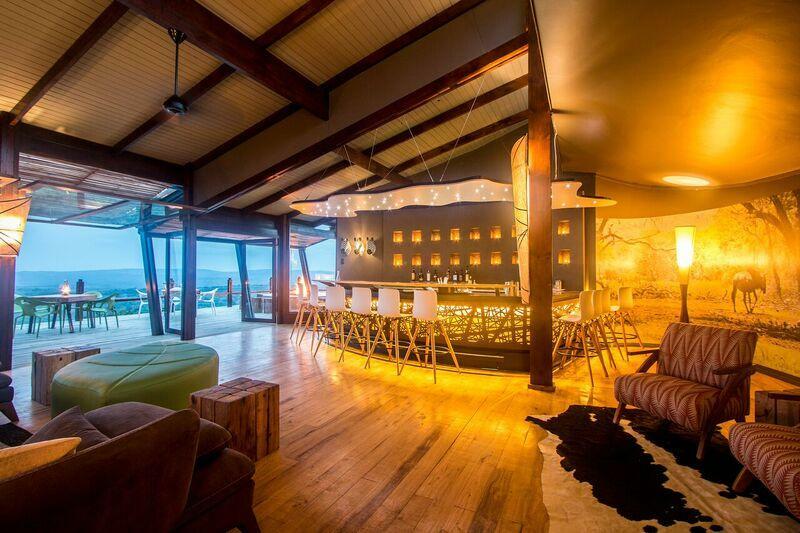 From R2360 –R4970 per person per night. Accommodation, meals, teas & coffees and game drives. Drinks and park fees are excluded. Each guest is entitled to 1 of the following on an evening game drive, glass of wine, local beer, cider or soft drink. Is there Wi-Fi available in reception areas? No – Rate includes all meals. Comfortable, casual, cool, cotton bush wear of preferably neutral colours/bush tones. Smart casual wear for dinner. Sunscreen, binoculars, cameras, spare batteries, lip cream, contact lens solution, spare glasses, reference books.